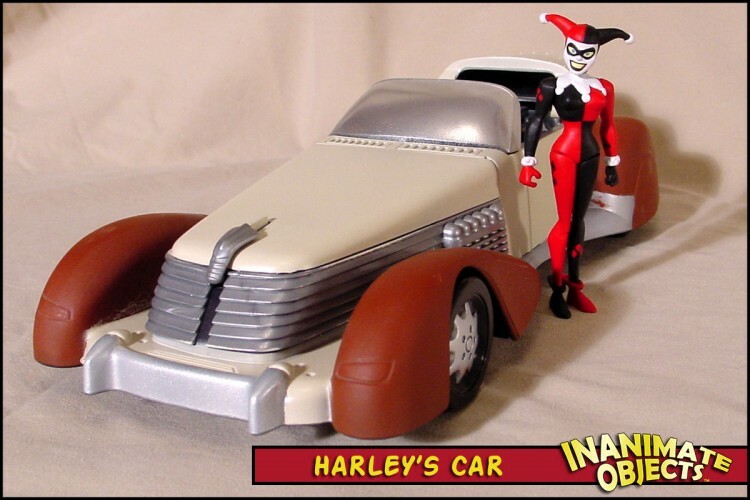 Harley’s car is just a simple repaint of the Shadow car, from the movie of the same name. The secret rocket engines in the back still work, and so does the missile in the front. Harley sat too low in the car, so I built her a small booster seat out of illustration board. I recently got my hands (finally!) on the Gray Ghost, and I remembered this version of the Shadow’s car you repainted for Harley. I’m thinking that a repaint in various tones of gray might make for a nice accessory for the Ghost. I don’t know about the size, though – I have this car, but it’s packed away for a pending move, so I can’t check it out. What do you think, oh great custom Maker? I think that’s a great idea! And I can’t wait to see the results. I don’t think the size against gray ghost will matter much. Those old timey cars were big! Thanks. I appreciate the encouragement. And You’re right – I’d forgotten how big some of those cars were. He may need a booster seat to be behind the wheel but he should look great standing next to it! If/when I finish, I’ll send you a photo. 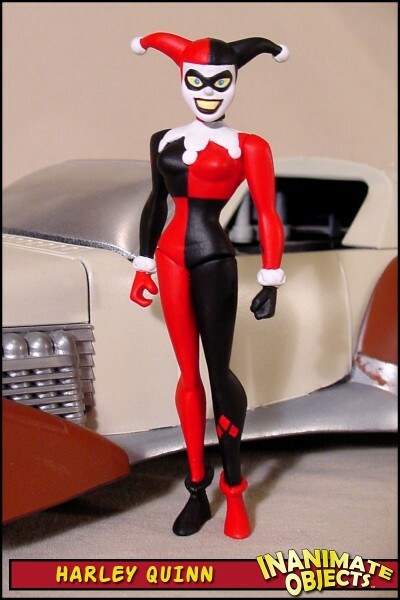 Oh hello awesome custom maker, quick question for you was the car originally black or yellow I’m trying to find it online because I was thinking of making my own, i do too love the episode Harley’s Holiday!! It was black, or at least dark gray or blue. From the 1990s Shadow movie. There’s also a yellow cab from the same movie. I used it to make a Batmobile. Ok thanks so much I thought for sure it wasn’t the yellow one! !